I have been following this McDonald Mariga saga with keen interest. The Parma midfielder has been a constant figure in most of Harambee Stars matches, since his debut in 2006. So, when he was called to what would have been his 28th national cap, it was to be business as usual, or so we all thought. 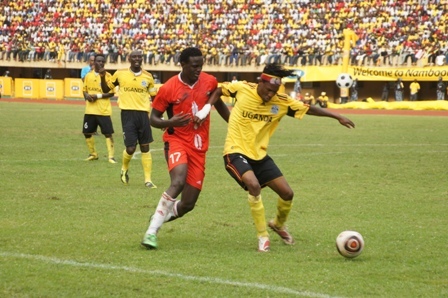 Mariga, who is said to be 24 years old, had other intentions. He flew 5, 697km from his Italian base in “readiness” of their 2013 Africa Cup of Nations qualifier against Togo. Fans beamed with joy that their foreign legion had arrived for the national duty, only for Mariga to drop the bombshell; he’s not playing, until he’s paid Sh1.2m owed to him in airfare arrears from previous travels for national duty. Granted, Mariga deserves to demand for the reimbursing, but his timing and manner of the requisition have all been wanting. Going by his stances, he hasn’t displayed not one ounce of the heroism, self-reliance, bravery and raw pride that motivates the rest of the players. Harambee Stars captain Dennis Oliech is also owed monies by the national football governing body, but he opted for a more diplomatic way of presenting his invoices. There are other players who are owed by the federation, Jamal Mohammed and James Situma. Did the Champions League winner appreciate the people who support Harambee Stars that he boarded the plane, covered thousands of kilometers, only to say he won’t play for Kenya? Absolutely not! He jumped ship when we needed him most and has since returned to Parma. Surely, do such players actually care what we think? They seem to behave like they are in a bubble! The word of the day, people, is patriotism. I can remember being taught as early back in primary school to be patriotic. Though I really didn't understand what that entailed at the time. To me, it was kind of boring songs about Kenya at music time which was more fun than mathematics (sic). It meant the teacher talking about how great Kenya was and me thinking how sad it must be to live somewhere else. Look at the fantastic gritty performance posted by the rugby sevens team over the years. They have also had to bear the brunt of pending allowances, but with such holdups, their conduct both on and off the pitch has been something to be proud of. They have proved to be true gentlemen. Their humility, camaraderie and fair play expressed at the top, has permeated right down to the junior teams encompassing individuals from all walks of life and backgrounds. The bottom line is not riches, notoriety, ego-boosting or self publicity, but a genuine passion for the game, respect for fellow players as well as the national flag and by extension, the fans. This is what our footballing star Mariga lacked.